If you have any enquiry or need more information, please fill in this form and we will get back to you. Filling empty shops? Why it can take time. "Shops closing by the week. What is being done to stop Wantage being turned into a ghost town?" So said a tweet sent in the summer to the Wantage Town Team twitter thread. As you can imagine the use of 'ghost town' is one quickly challenged. Not with more than 40 independent shops and cafes alongside our national names. Not with Mill Street, which had 9 empties when the town team project started in 2013 and no actual shops, now all but fully let, with a community of strong independents. Not with Arbery Arcade – which had three shops in 2013 and is now in double figures – becoming a lively hub for independent shops. Even in 2013 when the number of empty shops in Wantage town centre stood at 23 – around 12 per cent of the total and so close to the national average figure – we still had a strong core of independent shops and we'd have challenged the use of 'ghost town'. All that said, we have seen a flurry of units becoming available, especially around the market place, a number of which are taking some time to be re-occupied, and we thought it would be helpful to explain some of the challenges. The first is that decisions as to how they progress are mostly in the hands of commercial agents and, ultimately, landlords/trustees. In some cases – we have two in Wantage currently – a unit has to be sold before it can be let, so that takes extra time. There are cases – and we have those too – where the outgoing tenant leaves before the end of their agreement and are still paying the rent, so the landlord has little incentive to re-let the unit until that expires, and it stays empty. There are also examples here where the unit needs significant amounts of work to get it occupied and the landlord is unable or not keen to fund that, waiting instead for an incoming tenant to (help) do so, but that's a barrier to attracting one in the first place. Another factor is that the process from a would-be occupier first viewing the unit to signing a deal and opening can take time. Commercial leases can be lengthy and complex agreements with both sides involving lawyers, and there can be some too-ing and fro-ing over clauses. We've also had cases where agreement was near but fell through so the process has to start again, leaving the unit empty for longer. As a town team we are trying to do what we can to add to the mix we have in our town centre by helping attract shops that are different to what we have into town, and encouraging those who start small or in our arcades and side streets to grow and take on larger or more prominent units. We've used the pop up shop model, where we as a team take on units and sublet them to occupiers who've not yet got the confidence or track record to take on a long lease on their own, but may do after an initial 'pop up' run. That has worked well in Wantage, but we need agreement from the landlord to use their unit for a pop up shop, and we don't always get a 'yes'. 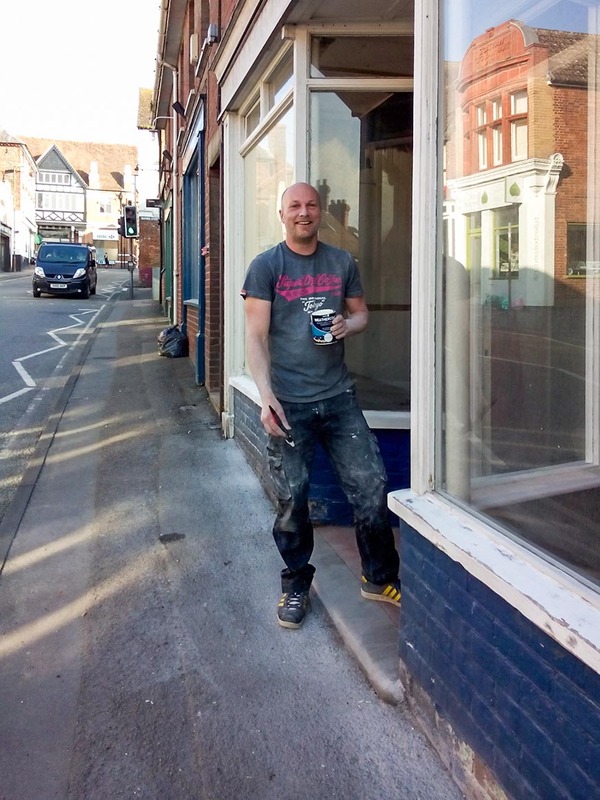 Where it looks like the unit may be empty for some time, we try to secure permission from the landlord to create an attractive window display there to make it look better for the benefit of its neighbours and the wider town. Even this can be difficult – and we have had cases where we've tried to get permission for a window display and it's not been able to progress. One thing that often happens is that a unit is let, but the public response is "oh no, not another…" followed by a list of business types that people in the town think we have enough of already. This is an example of how the system can be an issue. One factor is the planning use classification system which breaks various business types you find in a town centre down into categories. In theory you need to ask for permission to change a unit from one use to another. You'd think that meant it would be harder to change a unit that had been a shop into something else. But it's not. Firstly the 'shop' category 'A1' also includes hairdressers and funeral directors and charity shops (amongst other things), so you could change to those uses without permission. Secondly you would need permission to change a 'shop' to being, for example, an estate agents ('A2'), but recent experience is that – due to adjustments in national planning policy guidance - this is being allowed with little trouble. The other factor in this issue is cost. There are five main costs to running a town centre business: rent, rates, staff, stock and utilities. A number of the "oh no, not another…" business types have lower costs than a 'shop'; maybe because they get business rate relief, or have volunteer staff, or have little or no stock to buy, so when they come to calculate how much rent they can afford it's a higher figure than a (more expensive to run) 'shop', and so they can make a higher rent bid to the landlord. We've seen a number of cases in Wantage where 'shops' put in offers to landlords of empty units but lose out to other business types. On the positive side, the flurry of empties we've had is slowly clearing. Some of the units have or will soon re-open as independent shops, either new to the town or existing businesses expanding or moving to a more prominent place. And by Dickensian, all being well, we'd expect to see Wantage with only a small handful of empty and available units again.